Unto all within the East Kingdom with interest in Court Heraldry do I send greetings. Having been given, and embraced, the task of coordinating the Office of Vox Regis for the upcoming reign of Their Highnesses Gregor and Kiena, I am in search of those who would desire involvement. 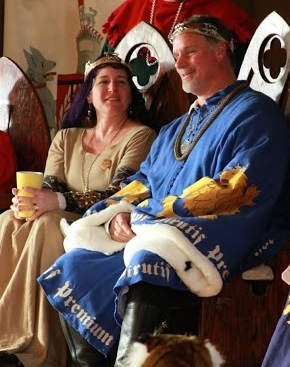 Whether you have merely the first spark of interest in Court Heraldry, have run a Royal Court in the past, or fall somewhere inbetween, there is need of your help. Please join us and make known your offer of assistance.